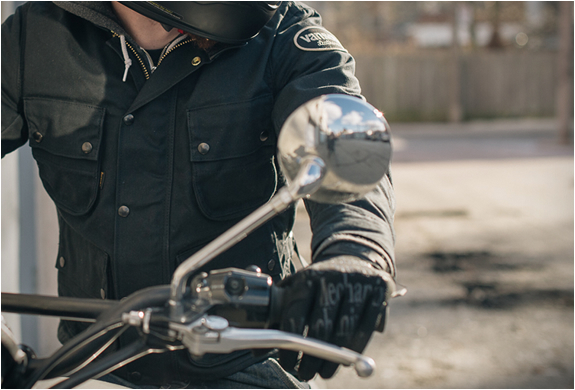 So you have your dream custom motorcycle, now what to wear? 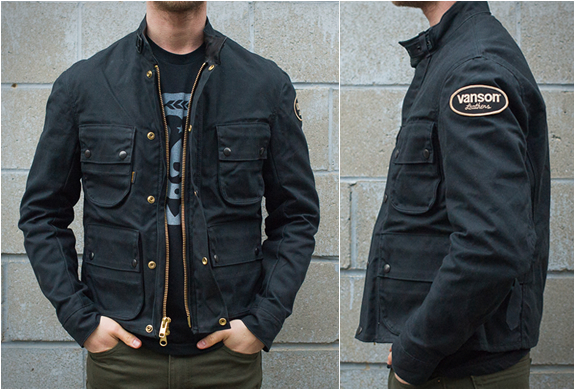 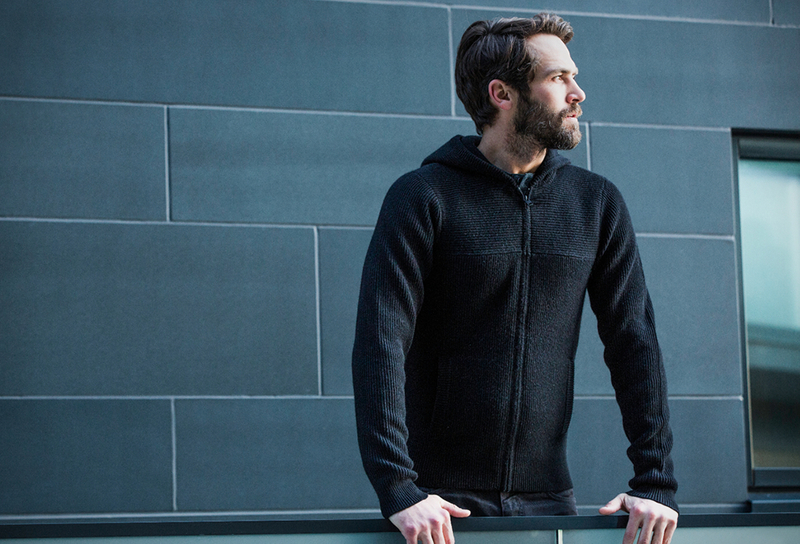 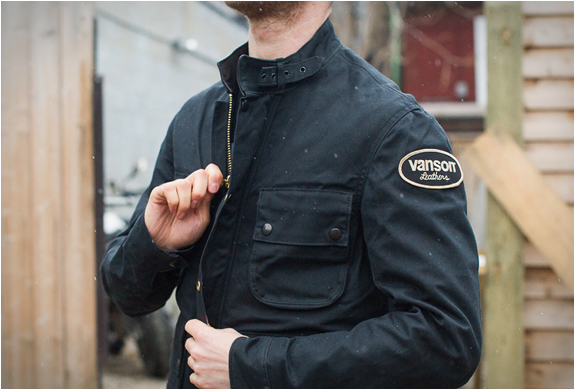 Check out these stylish jackets by Vanson Leathers, they combine all the functionality needed from a motorcycle jacket with a cut that makes them perfect for non-bike moments. 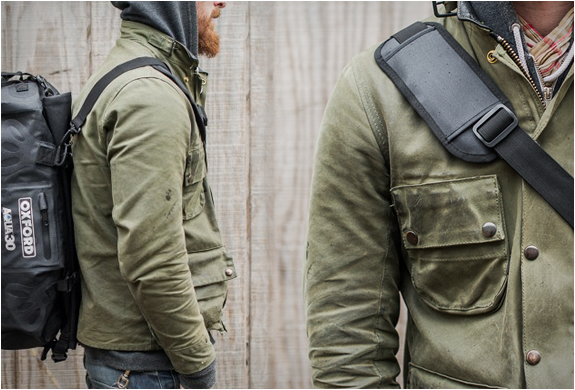 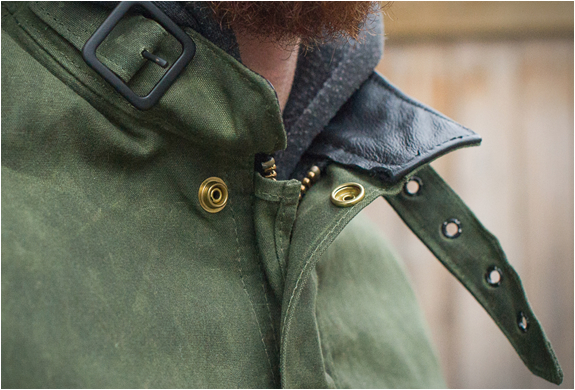 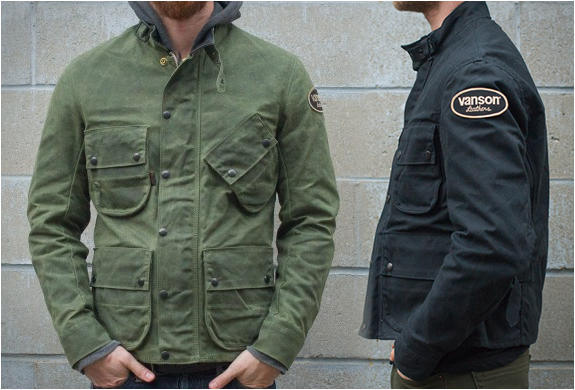 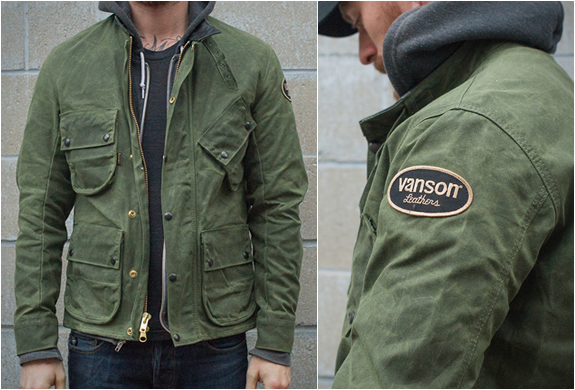 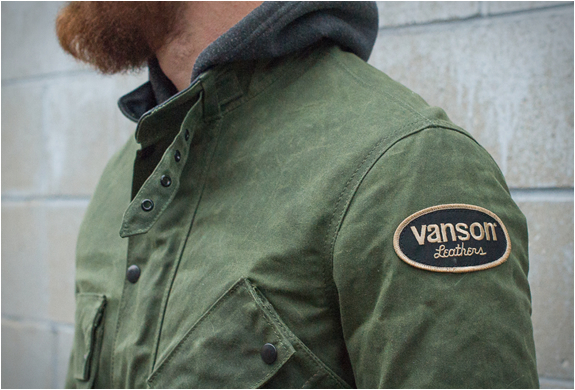 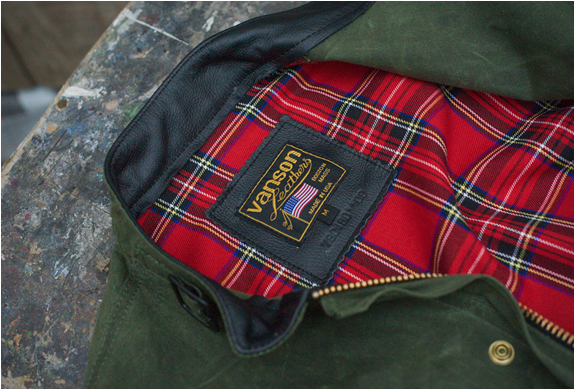 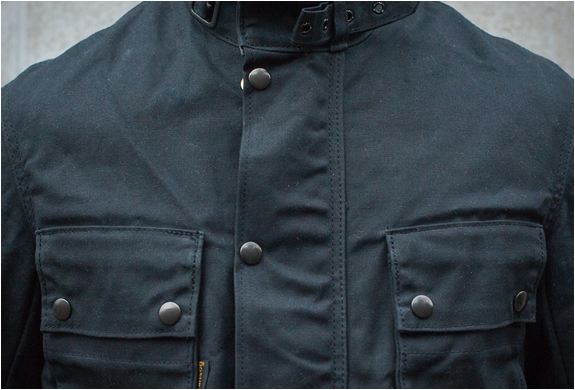 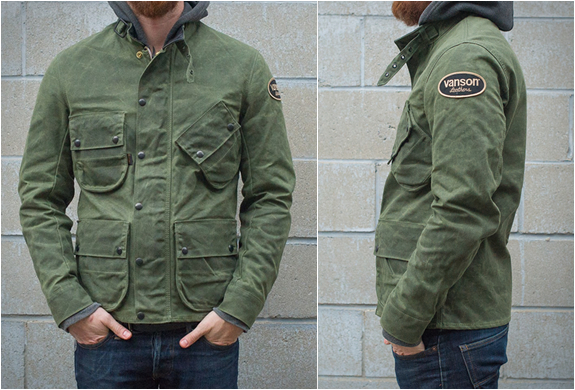 Both the Vanson Dover (black) and the Vanson Stormer (olive) jackets are made with 14oz Waxed cotton(ages beautifully), and feature several exterior and interior pockets for storing your small items and gadgets. 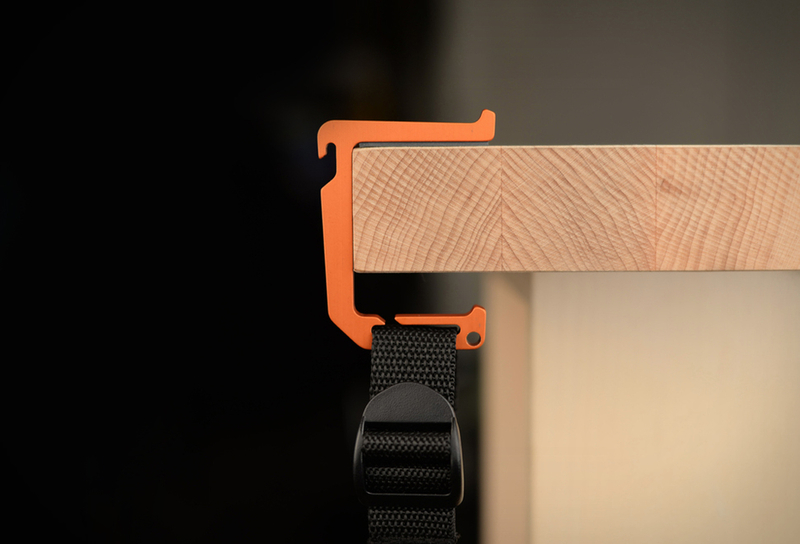 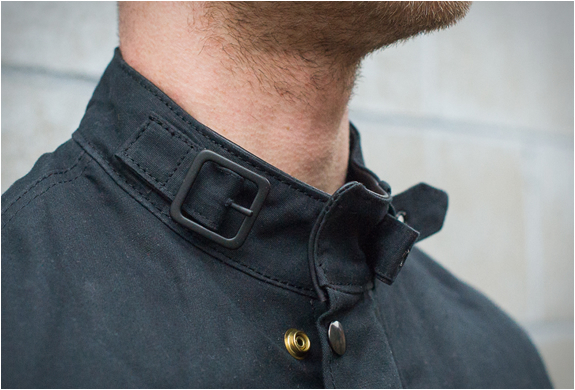 They also feature snap close wrist cuffs, and a buckle and strap collar closure.